FREE SHIPPING on all orders of $100 or more! 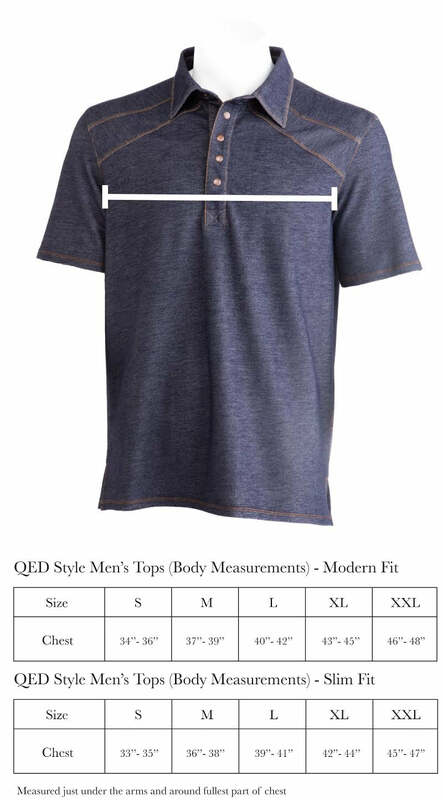 March 27, 2019 The New Rules of Golf Apparel: Golf is a Game. Apparel is a Medium. Style is an Art. January 24, 2019 Spring 2019 is HERE! December 15, 2018 Last Minute Gift Ideas for the Stylish Man or Woman in Your Life! For the casual observer, the Web.com tour is an afterthought and home for no-name golfers. Thanks in part to changes in the structure of the Web.com tour, these events are now loaded with talented golfers who will absolutely be playing on the big stage as it is the road to the PGA Tour. As it stands now, the season ending top-25 Web.com money winners along with the top-25 finishers in the Web.com Playoffs have earned 2014 PGA Tour cards. This means that somewhere between 25-50 Web.com players will make it to the PGA Tour each year. Why not a full 50? Because the Web.com Playoff field also includes many PGA Tour players who are trying to win back their card for the following year. Remember, every player on the PGA or Web.com Tour is either fighting to keep their card or move up to the next level. This movement between tours is where hopes and dreams are made and lost as players must compete to move up or hang on. So, let’s say you are an aspiring pro who wants to play on tour. What exactly is the process for making the Web.com Tour? Before we dive into that subject, a quick note about tour status. Tour status is a player’s sitting position on a given tour. This status is a measure of a players past finishes that can be used to gauge his "overall rank" against other players within and across tours. Tour status has a significant effect on everything from Monday qualifying to event acceptance and tee time priorities. In terms of the Q school process, tour status has a major effect on how many of the 4 stages you will compete in. First timers will likely need to play in all 17 rounds of Q school, while players who have lost their PGA Tour card will likely only need to play in the Final Stage. Back to our aspiring pro... it all starts with Pre-Qualification and an entry fee. Format: Three rounds with roughly half of the field qualifying and moving on to the First Stage. Exemptions: Players become exempt from pre-qualification if they have made a cut in a world tour event (i.e. Canadian Tour, Web.com, PGA Tour, Asian Tour, European Tour) within the last calendar year or were a full card member of PGA Tour or Web.com Tour in the last calendar year. Location: 12 different venues located across the country. Players may choose their location but priority is determined on a first come, first serve basis with previous PGA Tour and Web.com card members having site preference priority. Cost: $2500 for those who are coming from Pre Qualifying stage. $4000 - $6000 for those entering Q school (cost depends on signup date). Format: Four rounds with roughly half of field qualifying and moving into the Second Stage. Exemptions: Players may be exempt from the First Stage if they exceed the required previous year's money earnings on the PGA Tour or Web.com Tour, or if they hold a required World Ranking. Number of Players who make Web.com from First Stage Qualification: In 2013, 585 players entered Q-School at the First Stage. 256 made it to the Second Stage and 72 to Third Stage. 12% of players starting at the First Stage will get Web.com status. Location: 6 different venues located across the country. Again, players can choose their location, but it's based on first come first serve basis. Again, players with previous year PGA Tour or Web.com cards have site preference priority. Format: Four rounds with roughly top 25% of the field qualifying for the Third and Final Stage. Exemptions: Players may be exempt from the Second Stage if they exceed the required previous year's money earnings threshold. Players who are exempt to Final Stage are typically those who just missed getting their PGA Tour card, top finishers in select International Tours and PGA Tour players who lost their card. Stage Qualification: In 2013, 123 players entered Q-School at the Second Stage. 23 made it to the Third Stage. 19% of players starting at the Second Stage will get Web.com status. Format: Six Rounds with the Top-45 finishers and ties earning full Web.com tour cards and top priority for next year's tournament schedule. All other players will gain Web.com status but will have no guarantee to make the field at any given event. Field: The Third Stage is made up of approximately 155 players. 70% of this field will come from 2nd Stage qualifiers. The other 30% of the field will be players who just missed out on getting their PGA card in the prior year Web.com season, players who have just lost their PGA card or international players who have the required finishes in their respective tour. In 2013 there were approximately 420 players who competed in the Pre-Qualification stage. Of those players, 13, or about 3%, made it through to the Final Stage. Unfortunately, life does not get easier for these players. Not only will they will have to compete against the other 95 players who made it through the qualification stages (remember many players are exempt from the first few stages) but also against nearly 50 top professionals who had solid Web.com and international tours (not to mention those who just lost their PGA Tour card). So while nearly every player who makes it to the Final Stage will gain Web.com status, only 45 of the approximately 155 will have guaranteed acceptance to every event. So while having Web.com status is great, the majority of the Final Stage field will be playing for tour rank and priority status so they can actually play in tournaments. To make matters worse, some of those playing spots will be taken by PGA Tour players who did not make the field on their respective tour. PGA Tour players who did not make the PGA Tour field that week but do want to play in an event. Yes, PGA Tour players do compete in Web.com events. Most people understand the level of talent on the PGA Tour. Hence the motto "these guys are good". But if you tune into the Web.com tour you will also find a slew of fresh faces eager to make a name for themselves. At QED Style, we understand the desire and dedication it takes to make the tour and we want to congratulate Andy Pope and Clay Odgen for reaching the Final Stage. We wish them luck as they compete and look to fulfill their dreams on December 12-17 in La Quinta, California.